Author Kat Holmes explains why the most effective business models and products are the ones that benefit the greatest variety of people. Knowledge@Wharton: Inclusion is a term often used when discussing culture, education or politics. Most people don’t associate it with business. What does it mean from that aspect? 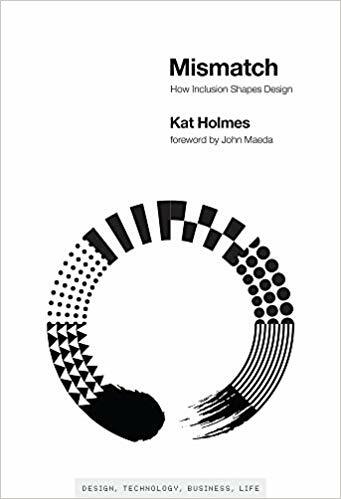 Kat Holmes: One thing I have learned through the process of both writing the book and doing this work with a number of companies is that inclusion means many different things to many different people. When we think about design, we often think about the process and how we get there, but inclusion is something that is more often associated in the business environment with workplace hiring practices and the way that we build teams. I find that there really is a new way of thinking or a new way of applying an approach to how we make objects and solutions. Knowledge@Wharton: In the reverse, is exclusion a lapse in understanding? Holmes: How interesting. When I was writing the book, I realized that I really didn’t understand the definition of inclusion and exclusion. I looked up the root words, and the root of both words is claudere, which is Latin for “to shut.” So, exclusion is to shut out, and inclusion is to shut in. We started to think about that mental model of shut-in and shut-out circles. The nature of exclusion becomes even more so a universal kind of experience that we have all had at some point in our lives. We have all experienced different ways of feeling shut out of either different aspects of society or literally access to a building or to a certain kind of resources. I think it is a topic that warrants more conversation — the way that we have all shared an experience of exclusion. But we don’t necessarily talk about it because it brings up a lot of negative feelings. Knowledge@Wharton: You note in the book that there are many instances where people overcome mismatches in society to be able to work together, become friends, start dating, but there is still a failure to connect in design. Can you talk about that? Holmes: There are a number of inclusive designs that are always quietly working in our environment, and we may not know that they started with someone or two people or three people who identified a mismatch, then found a solution to bridge that mismatch. And that ended up benefiting many more people. The word mismatch is derived from the World Health Organization’s definition of disability, which in 2001 they redefined as a mismatch interaction between the features of a person’s body and the features of the environment in which they live. That is also known as the Social Model of Disability. As we think about the way that a mismatch might happen in one place, and then another in our day, and then another as we’re out in the world, those mismatches start to build up like building blocks to larger types of exclusion. When we think about the types of innovations that have come from people recognizing those mismatches, one of my favorite examples is the typewriter, which was invented by Pellegrino Turri and Countess Carolina Fantoni da Fivizzano in the 1800s. The two of them were very, very close. The countess was blind. In this time, if you were blind and wanted to author a letter, you had to dictate it to another human being who would write it down for you, which was not an awesome solution if you wanted confidential communication. Turri and the countess created what is known as the first prototype of a typewriter so that the countess could author her own letters. That design has gone on to benefit many, many more people. We may be sitting somewhere right now in front of a keyboard or holding a phone that has one embedded inside of it. A number of people have benefited in many, many more ways from that particular design that was originally created to resolve a mismatch. Knowledge@Wharton: You also say that there are websites that have mismatches. What do you mean? Holmes: There are many different types of being shut in and shut out, but inclusion and exclusion and the mismatches that happen create that delineation between the moments when we are included and excluded. There are physical environments — sometimes it is easier to recognize something like stairs at the entrance of a building or the curbs when we cross the street. Curb cuts create access for someone who uses a wheelchair. But anyone who is on a bicycle or towing a suitcase or pushing a stroller also benefits from that design. We think about the physical environment in a very tangible way, but there is a huge body of mismatches in the digital realm. Website accessibility is one of those fundamental starting points for many companies as they begin to think about how to build towards inclusion. Accessibility really is the baseline, it is the foundation. It is the baseline of integrity to any inclusive solution you will make, any inclusive environment or workplace…. When we design for accessibility, it ends up benefiting a much broader group of people. Knowledge@Wharton: Can you give us an example of a company that has understood this and has made sure that its product or service is inclusive? Holmes: There are a growing number of companies that are focusing on this practice. What I really am noticing, back to the definition of inclusion, is that it happens in many different ways. No company today is a perfect model of this in practice, in part because I think this work is really an ongoing and never-ending kind of evolution. But I will highlight that there are companies like Microsoft that have taken a long kind of marathon approach and understanding to the work that is required to build accessible and inclusive experiences. You see it happening there, and it is starting to show up in many of the product solutions, it is starting to show up in the messaging. But the root of that really is the work that the company has done to build those inclusive practices into how they hire new employees, recognizing exclusion in the products they create, and finding methods of creating new solutions that directly involve the wide range of people with different abilities, disabilities and life experiences in the design process, in the path of creating that solution. At those companies that are starting to build this into how they work on a daily basis, we see products and work environments really beginning to transform. Knowledge@Wharton: One of the people that you bring up in the book is John Porter, who is aware of some of these issues, specifically in the video game industry. Tell us about him. Holmes: John is a designer at Microsoft. He is an avid gamer, and I highly recommend checking out his work. One of the stories I tell in the book is that he has this great wall in his home; it is almost like a peg board that you would hang tools on. But instead of tools, he has every video game controller in the history of console game design. Nintendo, Sega and all of those are mounted up on the wall, and he calls it his Wall of Exclusion. That is because he points out that every controller device has required two hands to play pretty much since the beginning of that industry, and not every player has two hands to play. John games primarily through speech command. He creates highly customized programs to create certain types of actions inside of games. There are many different ways that people game, but there is degree of work that goes into designing a solution that bridges that mismatch. John really brings this example to life. We share this story in more detail in the book. Knowledge@Wharton: When you are talking about inclusion, you are talking about providing options for people that they maybe would not have had before. But for the company, this ends up having a bottom-line impact on the workplace culture and other aspects. Holmes: That is one thing that really shifted in my thinking as I was writing Mismatch, that shut in-shut out, include-exclude models really for me evolved to be more of a cycle of exclusion and inclusion, and that cycle has interrelated points. They all influence one another. There are five points, in my opinion. There’s the person who makes a solution; what they choose to make at the end of the day; why they make it — the culture and the mission surrounding that. There’s who they make those solutions with and for, and the assumptions they make about people. And then there are the tools, like how a solution is made. And those tools can also be who can access a profession, who contributes to the solution. You could really start at any of these points on the cycle of exclusion. It is just an ongoing thing that we, as solution-makers, business leaders, designers and engineers, are constantly at these points of choice between recognizing exclusion and how to shift it towards inclusion, or recognizing exclusion and making the conscious choice that exclusion is something that is going to be built into this product — and let’s do it with clarity and intention rather than it being an accidental harm if it is a necessary trade-off in our businesses. Knowledge@Wharton: In looking at the points, I would think that why something is made would be the area where the potential for exclusion might be the greatest. A lot of products are made just because they will sell, not because they are useful. Holmes: There is a great book that I highly recommend called The End of Average by Todd Rose. Rose does a fantastic job of testing the assumptions we have about who we are designing for and why we are designing. The assumption about there being an average human being is something that he proposed, and it really stuck with me. When we create a solution, we often think about, “How can I reach the broadest possible market?” The 80-20 rule is something that is taught often in design schools and engineering schools. If I can reach 80% of average [people], that benefits a much broader group of people, and then the edge cases will kind of come along for the ride over time. He really points to the source of that assumption. It was an idea fabricated in the mid-1800s by a Belgian mathematician and astronomer named Adolphe Quetelet. I think also one of the underlying points that I love you bringing up here with ‘why we make’ is that I see a lot of companies coming into inclusive design and really trying to set out to design the universal, perfect solution that will work for all people. That itself can be a never-ending challenge. It is a very specific kind of design work to create a universal design. But what I love about inclusive design is it is less about the outcome, and it is focused more on how we get to that outcome. If we think about the purpose of why we make something, my favorite definition of inclusive design is it is creating a diversity of ways for people to participate in a shared experience with a sense of belonging in that experience. I think that really is the marker of a great inclusive design. Knowledge@Wharton: You have an interesting diagram in the book that says disability does not equal personal health conditions, but disability equals mismatched human interactions. How close do you think we are in business, in our culture, from having that second definition be the one that everybody takes to heart? Holmes: There are many different definitions of disability, and it is a complex and nuanced space. There are a lot of experts and scholars on the nuances there. But the thing that stood out to me is the World Health Organization’s definition of disability, and framing it in terms of mismatches. It squarely put the responsibility on me as an engineer, as a designer, as a business leader, and the teams around me to stop and think and recognize that every choice that we are making in the design of our solutions was either increasing or decreasing those mismatches between people and the world around them. In terms of how far off we are, it depends on each individual person as they are creating a solution to really stop, reflect and take a moment to recognize who might be excluded. Whose voice is missing from my process and the feedback that I am gathering? Who has the most to lose if I make changes to this solution? Even though it may seem like an innovation for some, it may create a complete lack of access for other people. So, each time someone stops and thinks and recognizes that and makes a tip towards that, I think we get a little bit closer.